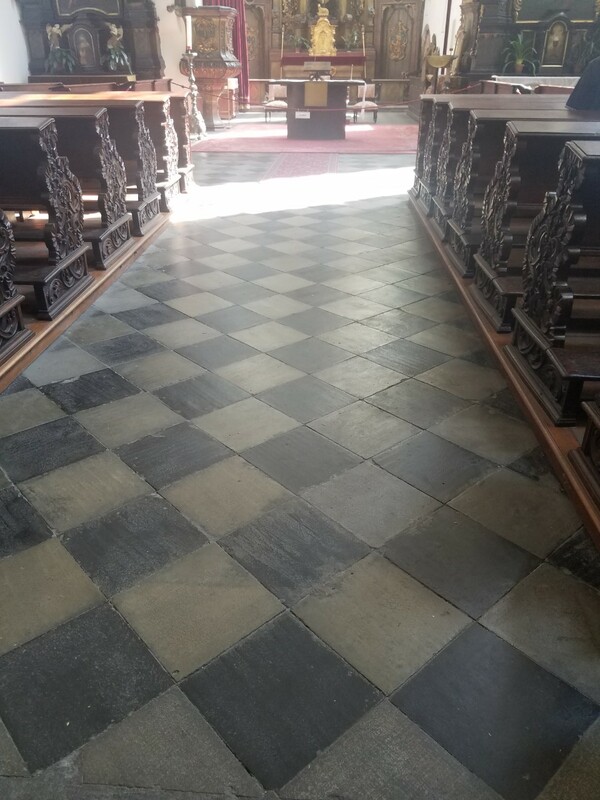 True to his observation, the floor of this majestic church leading to the altar and other sacred areas of the church was checkered black and white, in complete contrast to the walls, stained glass and ceiling. A mental flashback took me to the old churches I’d visited on my travels. 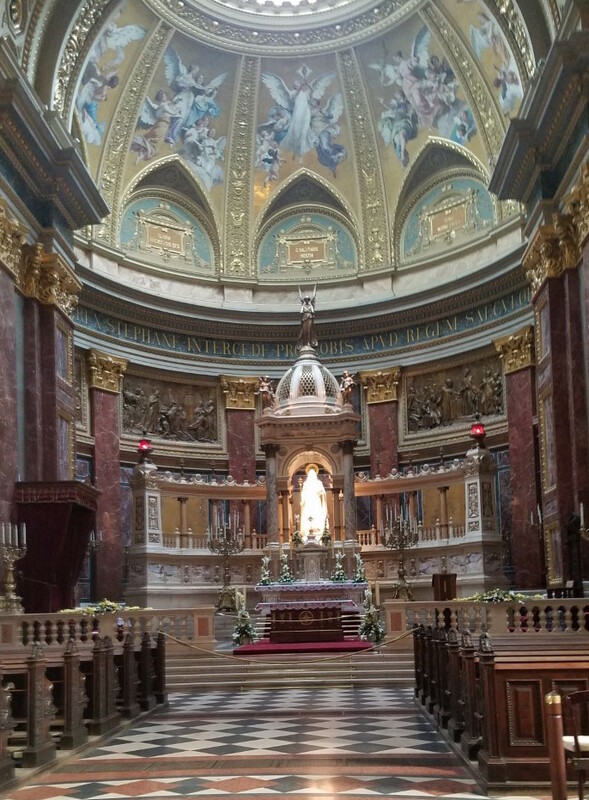 I recalled most of them had checkerboard flooring of either red or black and white marble at their entrance, or close to the area leading up to the altar or leading to an extremely holy corner within the church itself. It made me wonder. More than simply decorative, the mosaic pavement or flooring must bear a special meaning. 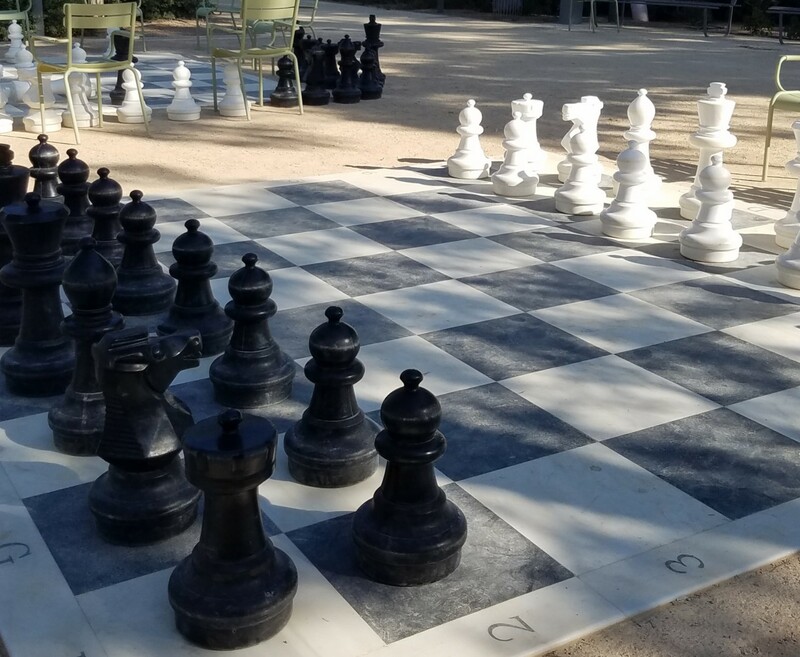 Could it be that the pavement or ground, the area on which people walk and come forward toward an altar is emblematic of the duality of human life, checkered with good and evil? 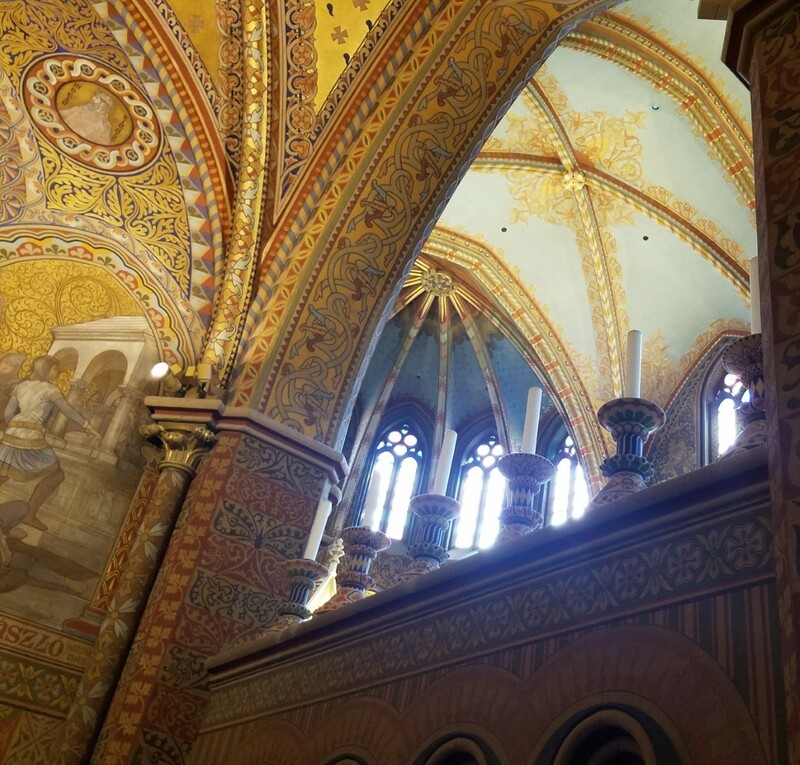 Could it be purposely made to represent earth, the material world, contrasting with the ceiling, made to represent heaven and the spiritual world? White and black. Light and dark. Reflection of all colors and the absence of color. They are opposites. They offer a high contrast widely used to depict the dichotomy in life and the duality in everything. Whereas white has been a symbol of innocence, virginity, virtue and the holy, black is the symbol for death, mourning, sin, evil, the strange, the unexplained. They appear everywhere. In literature they often define the hero and the villain either in their dwelling, surroundings or clothing. (The Iliad, Paradise Lost, Lord of the Rings, Star Wars, Harry Potter, etc.). In mythology, they appear as Hades, God of the underworld, a place of darkness contrasting with the celestial realm of the gods. In religion, God separates light from darkness in Genesis. The Bible associates light with God, truth and virtue, darkness with sin and the devil. When thinking of the idea of duality, and the concept of good and evil, white and black, sacred and profane, positive and negative, joy and sorrow, bitter and sweet, I can’t help pairing them to neutralize or balance the intensity of each. The one is the reverse of the other. Yet these forces, though they appear to be opposites, may in fact be complementary. They do not cancel each other out; they simply balance each other. But in order to fully grasp one side of the dual nature of something, I realize that I need to experience or feel the other side to compare and fully understand the opposing side. How can I know what “up” is if I don’t know what “down” is? Or what sweet and sour, hot and cold, young and old, good and evil are to one another if I am in the absence of either one? If there is no opposing counterpart, then it can’t have any value to you or me. Which means we need to expand our consciousness and recognize that duality is necessary for us to learn to make a choice in white or black. Understanding duality is a good starting point. Such is the debate over black and white, light and dark. Is there ever a perfect game in the duality of light and dark, white and black to achieve the celestial canopy of colors? This entry was posted in God, life, Uncategorized and tagged christian, duality, good and evil, life. Bookmark the permalink. What a piece, Silva. In spite of the importance of experiencing duality, may white, light, good always prevail. Here’s to more meaningful and joyous travels. Thank you Yeran. So much to observe, so much to record and so much to write about. …. Such a beautiful duality! One that we all struggle with on a daily basis. I am reminded of a haunting dream I had as a teenager in which I kept walking toward the light, but the light kept getting further and further away. I had to stop and walk the other way, through the ultimate darkness before I reached the light, which was blindingly beautiful. Taline, you said it far better than I could have put into words. May your path continue to be luminous. Quite an observation and interpretation (wowww) of such a simple detail that for most of us would go totally unnoticed. Your blogs are truly food for the soul my friend. Loved it! It also reminded me of the Yin-Yang symbol, with the small dot of the opposite color on each side, showing the dualism we all carry within. Happy trails Silva, looking forward to your next blog.